How do I find a Kansas Lawyer? - If you or a loved one has been injured in an accident that occurred in Kansas or the person who is responsible for your injuries lives in the state. - If you are charged with a criminal offense in the state of Kansas. - If your legal issue involves a state agency in Kansas or Kansas state law is an important part of your legal claim. A wide variety of lawyers can be available to help you in the state of Kansas, but always remember to find a lawyer with experience helping clients with similar cases to yours. When you first speak with your Kansas lawyer, it is very important that you identify what your legal issue or issues are and what you want to accomplish with the help of the lawyer. You must provide a basic description of your legal problem so that your lawyer can advise you on what the next steps will be and how to get to those steps. Kansas lawyers should also be upfront about whether they can take your case and if they have the proper experience to help you. Many lawyers are available in Kansas and they can usually be found through some sort of advertisements. You can find Kansas lawyer advertisements in newspapers, televisions, phone books, or multiple other areas. While these sources can be great for finding the names and locations of Kansas lawyers, you should not rely on the claims and promises made in those advertisements. Using outside sources to better understand a lawyers experience can help you select the best lawyer for your case. The internet can be a great source of information when searching and choosing the right lawyer for you. This website provides a search function at the top of the page that can help you find and compare Kansas lawyers in your area. A specialist should almost always be sought when seeking legal advice and representation. Different areas of the law require different work and knowledge, it is important that when searching through Kansas lawyers that you select one that can adequately help you and put you in the best position to get what you need from the legal system. If a specialist is not available in your area, you should seek the advice of a general practitioner, however they will most likely need to refer you or help you find an experienced specialist when your case starts to go through the system. Preparation is key for appointments with Kansas lawyers. You should start preparing by gathering all relevant documents that you may possess. What is important can vary depending on your legal case, but some examples of important documents include medical records, police reports, court documents, or a host of other items. After you have gathered these documents, it is important that you refresh your memory in regard to specific facts about your case. Review dates, times, names, and places so that you can provide them to your lawyer at the appointment. Finally, come prepare to discuss what you want to achieve with legal representation. You should be ready to discuss your ideal outcome, what to do if your legal claims or defenses fail, and what compromises you may be willing to make. Questions can help get you and your lawyer to converse about your case and will provide answers to you while giving your lawyer a better idea of what you want from your case. Consider writing down questions before meeting with your lawyer, as this will ensure that you get your questions answered. While all Kansas lawyers must graduate from an accredited law school and pass the Kansas state bar examination, you should also investigate the credentials of any lawyer you intend to hire. Be prepared to evaluate their skills and abilities in the specific legal area where you need help. Ask the lawyer about prior cases they have worked on, whether they have worked on similar cases as yours, and any other relevant questions. Do not only rely on advertisements of solicitations of lawyers, as they are often exaggerated and sometimes just untrue. Always base your information on reliable sources. Experienced Kansas lawyers will have the ability to take your case from start to finish, negotiate with other parties, and file all legal paper work that needs to be done. They should also be able to help you feel assured that your legal needs are being satisfied in a proper and orderly fashion. A good Kansas lawyer will meet all required deadlines and have good relationships with the necessary judges and legal professionals in the area. Always be aware of the behavior of your lawyer. Do not allow and unethical lawyer to represent you. If any of your Kansas lawyer's behavior raises red flags, especially when involving billing and fees, the holding of your assets, or how they represent you in court, report this behavior to the Kansas state bar association to protect your rights and the rights of other clients. When you hire a Kansas lawyer, you should be aware of the various ways in which he or she will bill you for their services. A retainer may be necessary when your lawyer will be working on an hourly rate basis. Get all rates and fees in writing from your lawyer. A contingency fee is a percentage taken from the final awarded amount or settlement. Typically, these percentages will range from 30% to 40% and can be different for each lawyer. While the final lawyer fees may be very large, these fees are often necessary because they do not require an upfront payment to a lawyer and the lawyer takes on the risks of losing the case. A referral fee is the fees a lawyer may charge another lawyer when giving him or her a client. Lawyers may send clients to other lawyers when the first lawyer has too many cases to work on, does not have enough experience in the areas of the law the client needs help, or there is a conflict of interest. Always be aware of any additional fees your Kansas lawyer may charge you. Filing fees, staff fees, and facilities fees may be something your lawyer may want to charge you. What services do I get for these fees? What are your past experiences with these types of cases? How can I contact you if I have new information? When will you contact me to update me about my case? 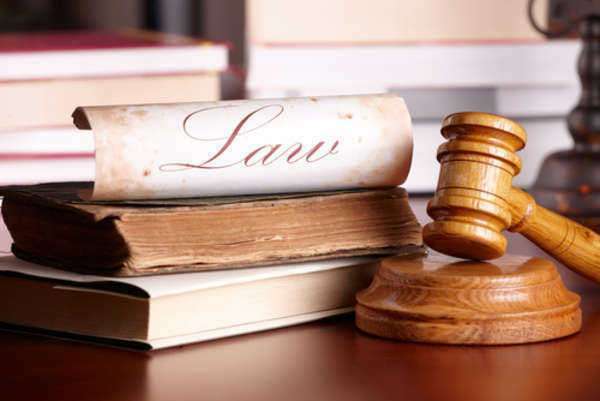 When you are seeking the help of a lawyer in Kansas, it is important that you know what you are looking for in the Lawyer and keep in mind that you should only seek lawyers with experience and knowledge about your specific legal problems. KS lawyers can be found throughout the state, however certain specialist may only be found in certain areas where those legal problems are usually found. For example, lawyers in Kansas with experience in urban development and construction are usually found in the state's urban centers, while lawyers who specialize in farm related activities can be found in the more rural parts of the state. Always be aware of the background and history of any lawyer. Kansas and the state bar association will have records concerning any ethical violations or consumer complaints made against lawyers. Any lawyer with a record of ethical violations should be avoided to ensure that you are protected from their behavior. It is also important that you report any unethical behavior if you see it first hand or it involves an aspect of your case. Lawyers in Kansas can provide help when you are facing criminal charges or other related legal issues. Criminal lawyers are available and you should seek the help of a lawyer who has a practice in the region where your case will take place. Often, these lawyers will know the particular courts and judges and will be able to provide you with specific insight to help you make helpful decisions about how to work your case.